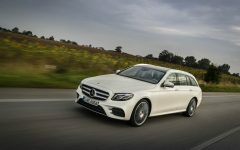 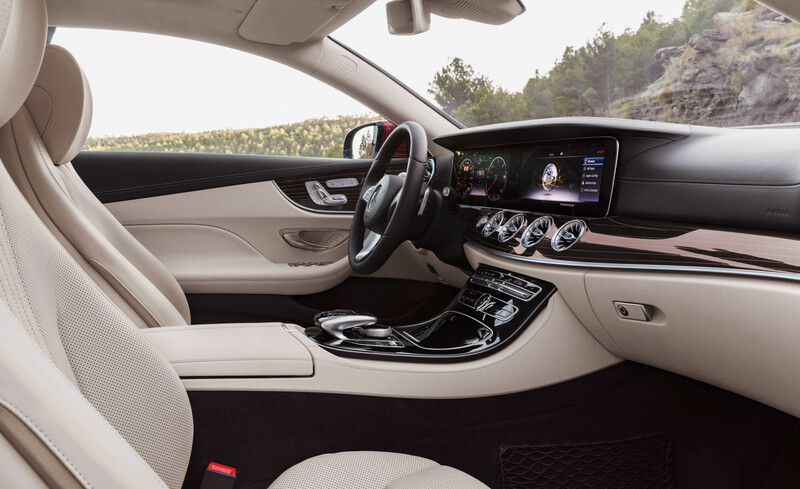 With its 2017 sedan and wagon models, the E-Class family raised the benchmark for automotive intelligence. 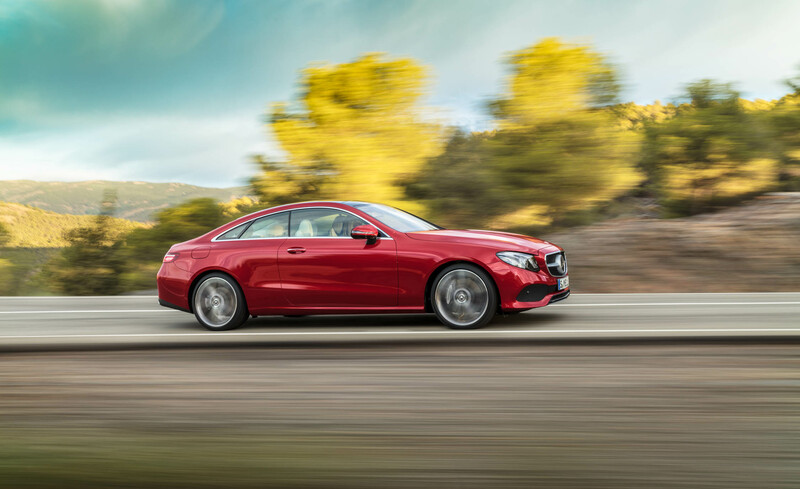 Now, up-to-the-minute intelligence meets a newfound sportiness with the all-new 2018 E-Class Coupe, available in both E400 and E400 4MATIC versions. 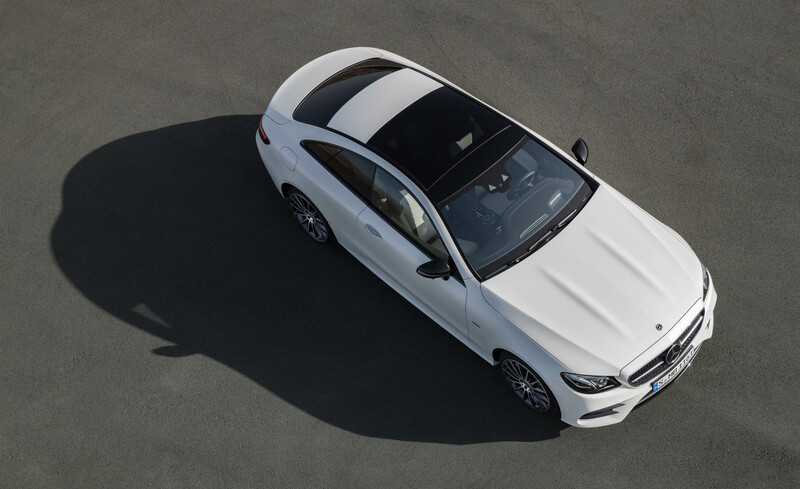 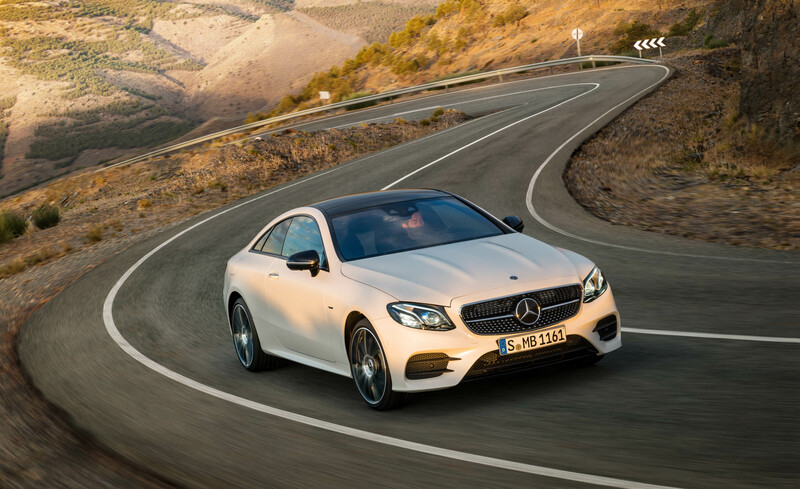 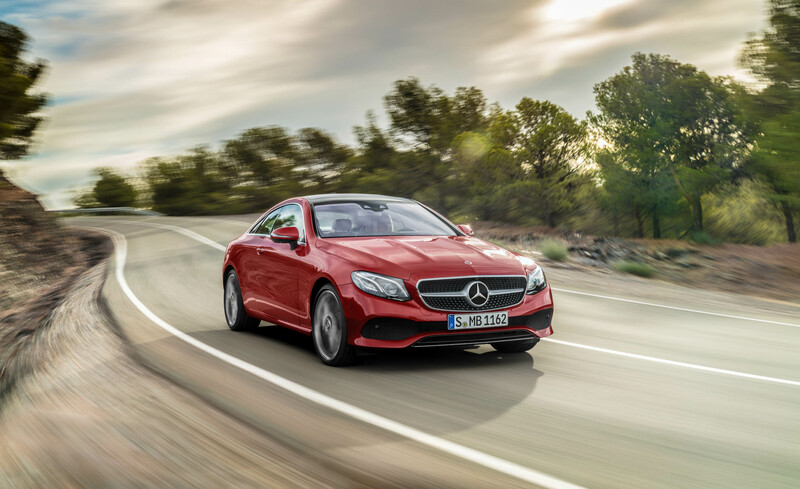 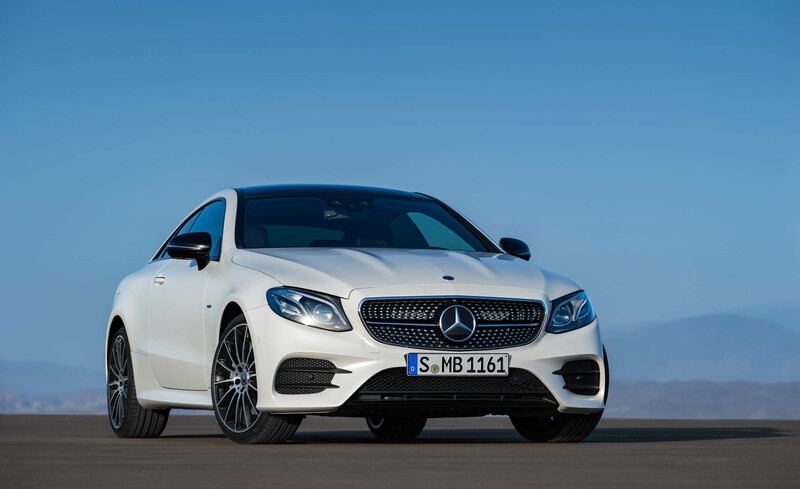 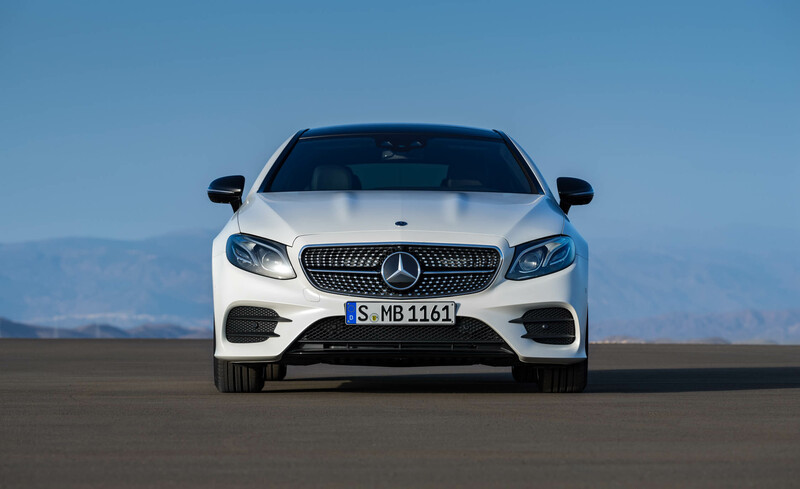 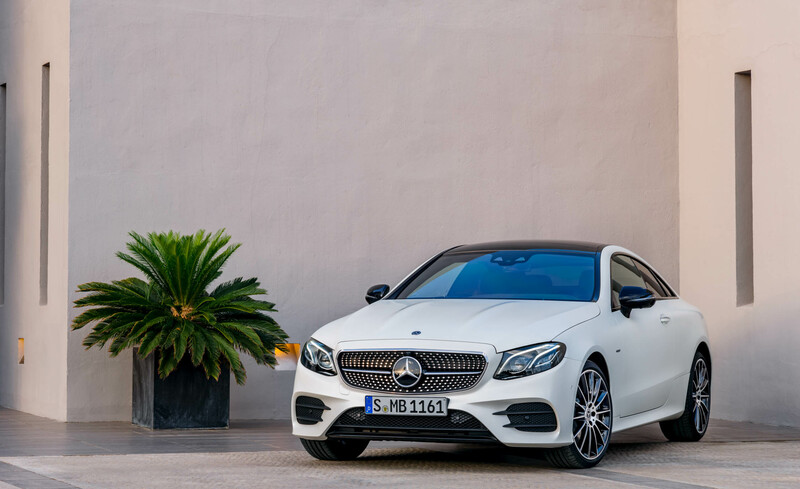 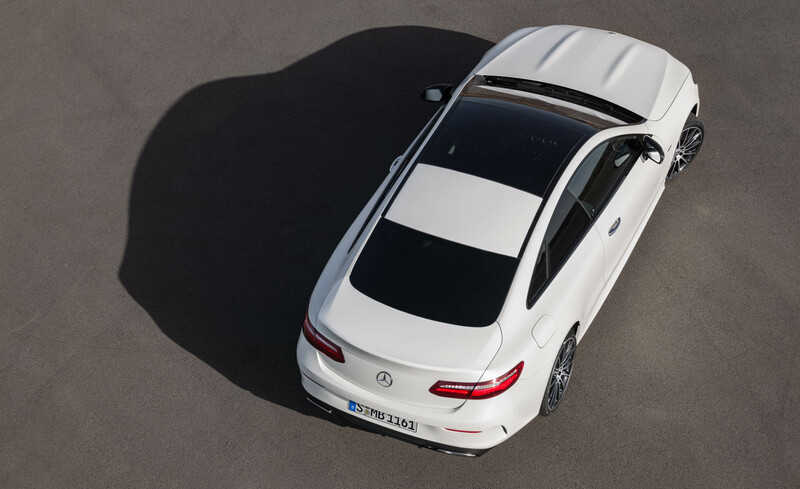 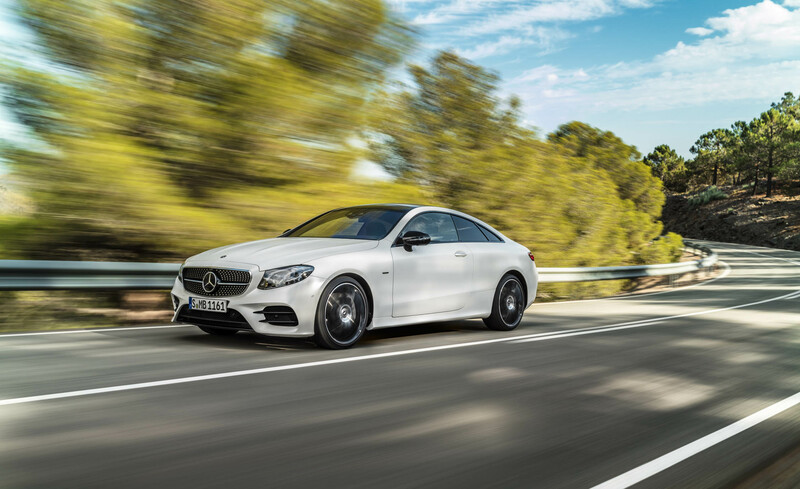 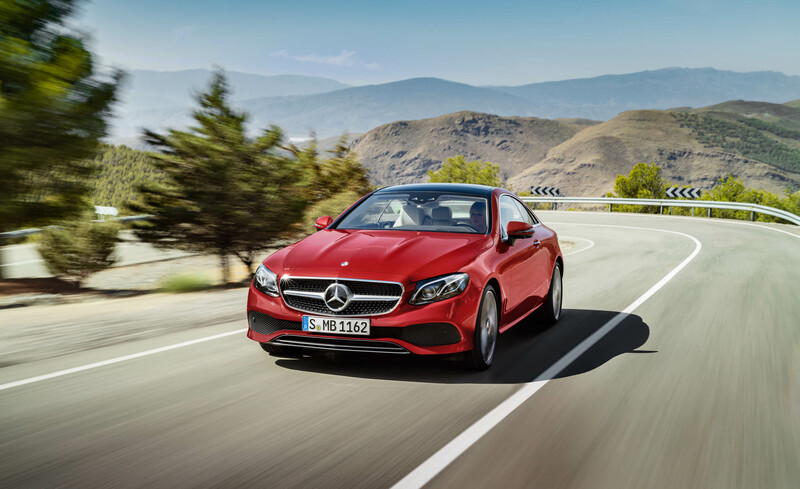 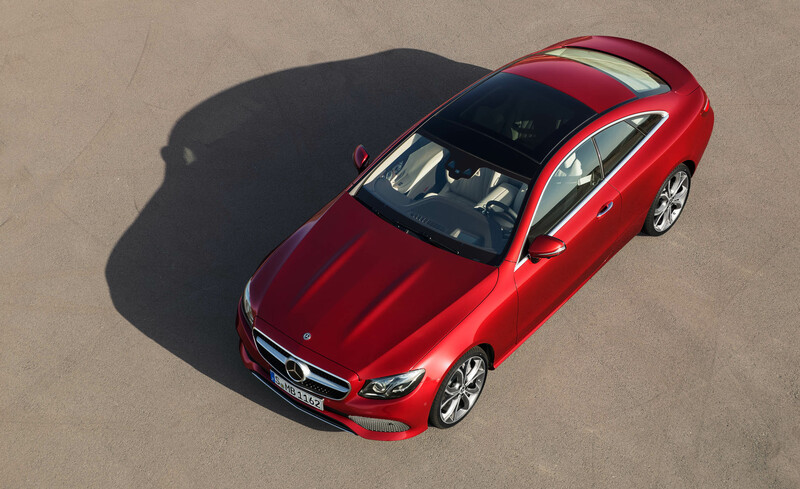 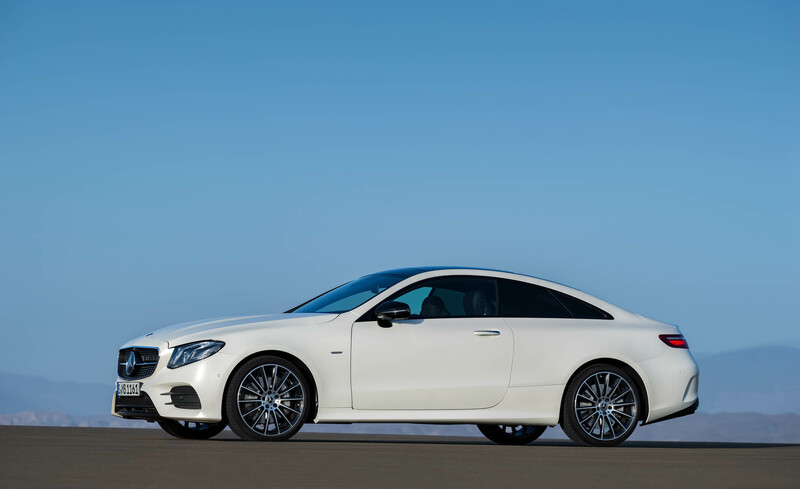 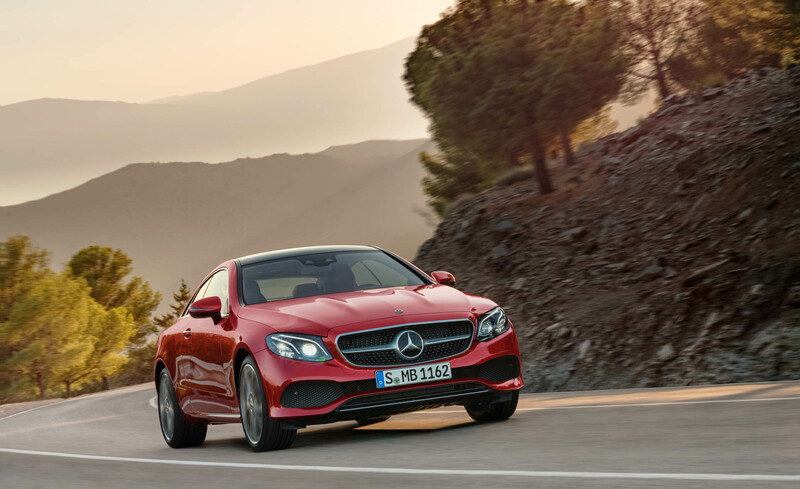 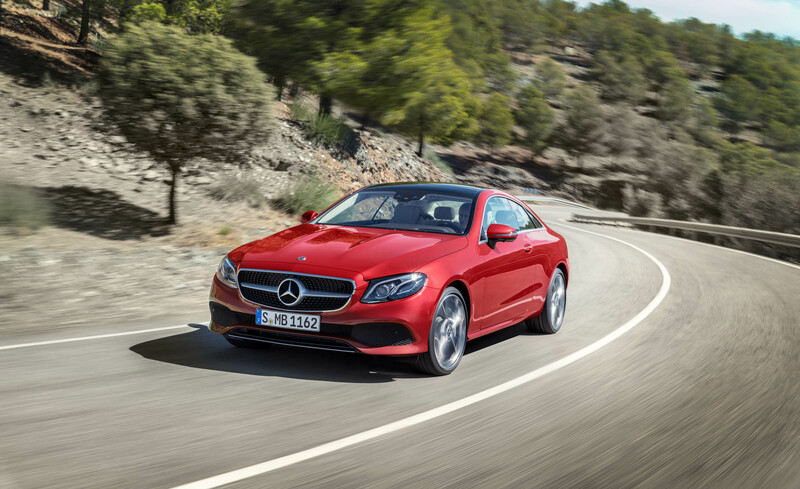 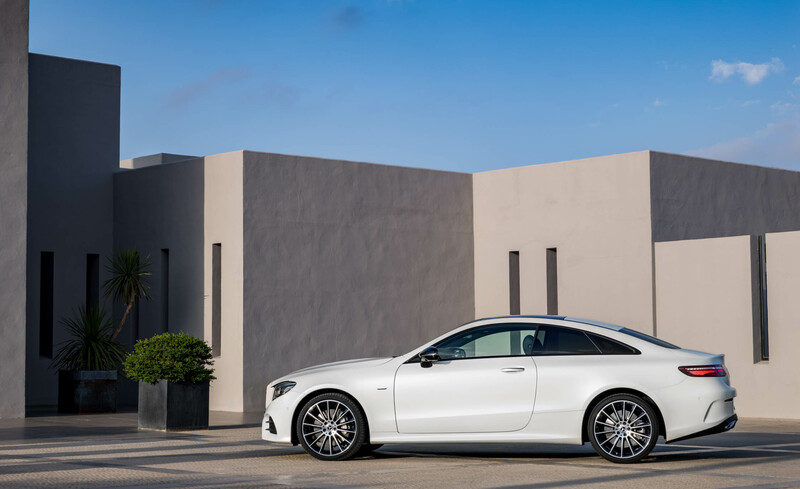 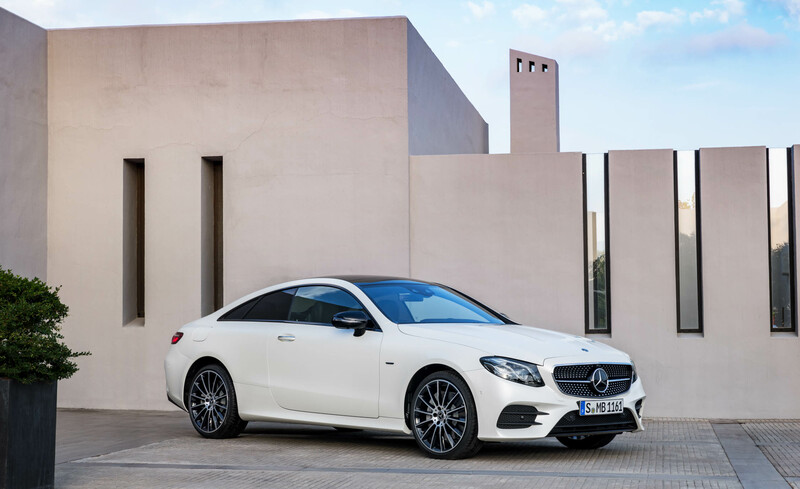 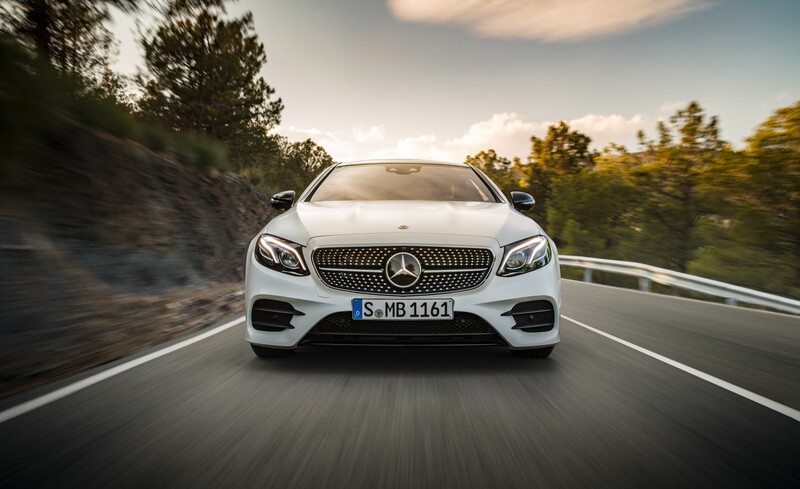 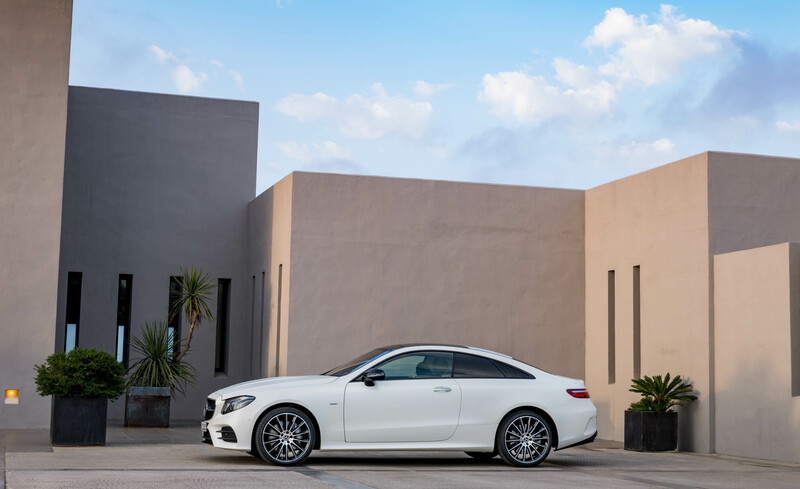 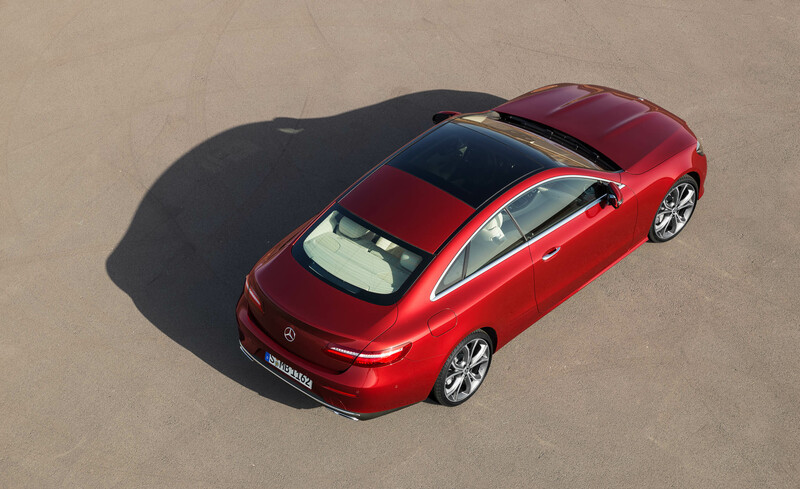 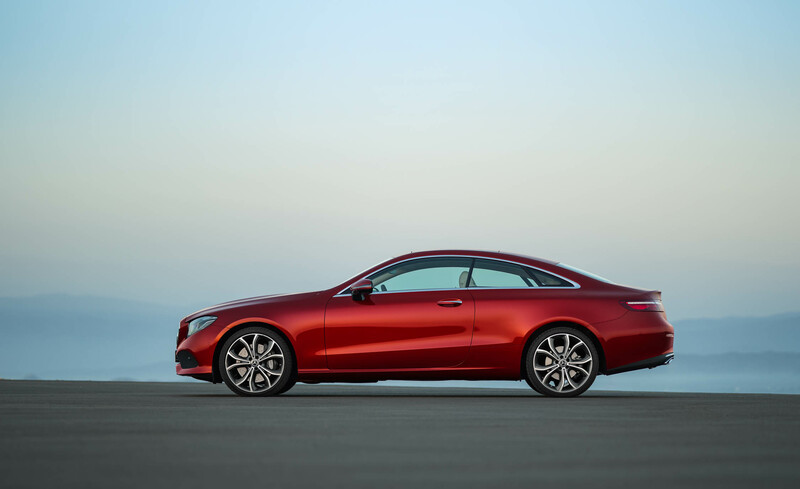 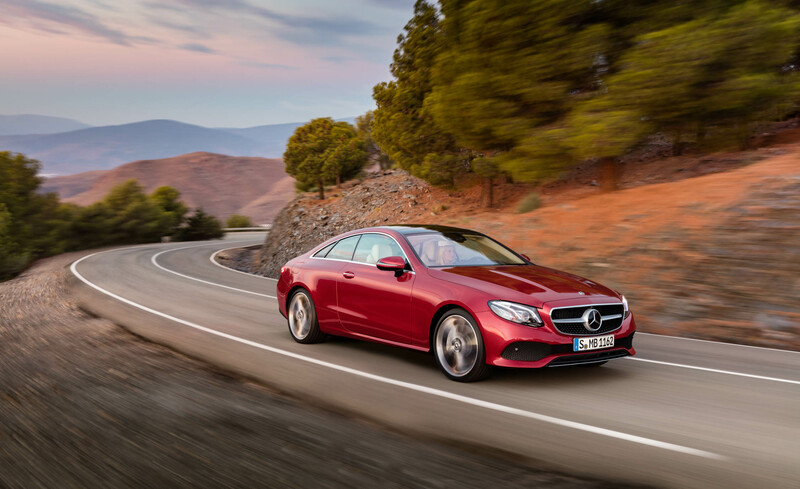 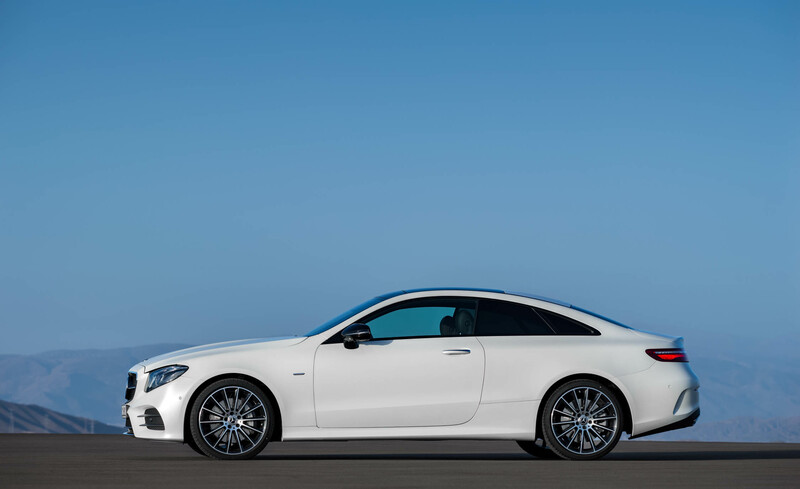 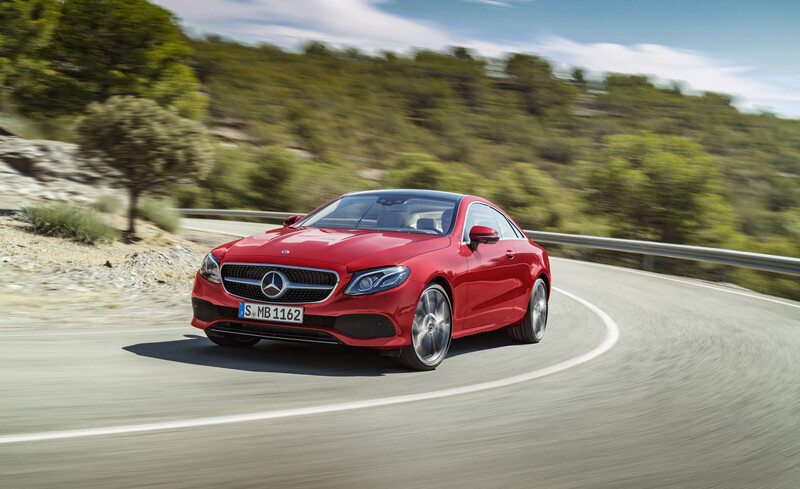 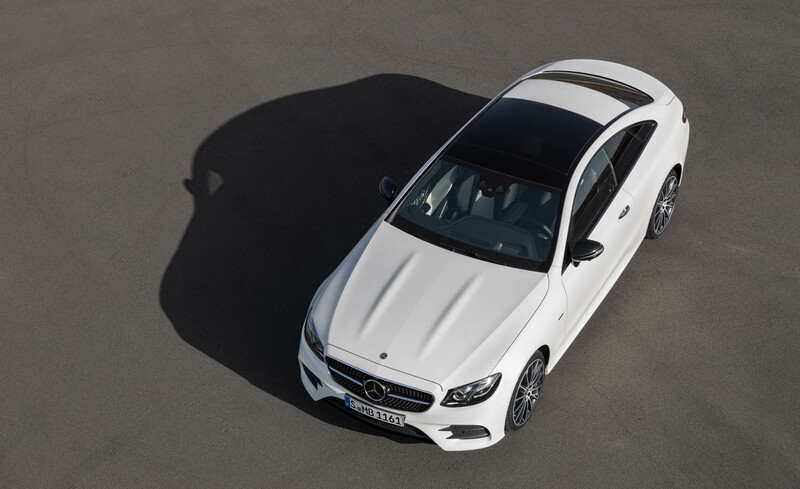 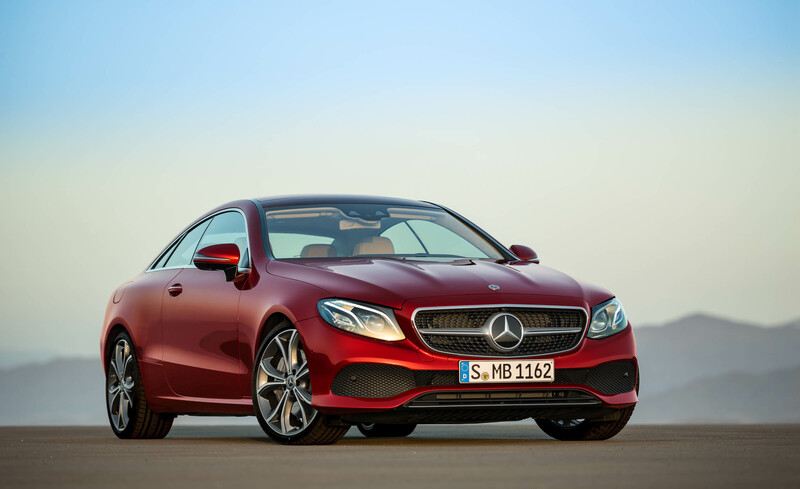 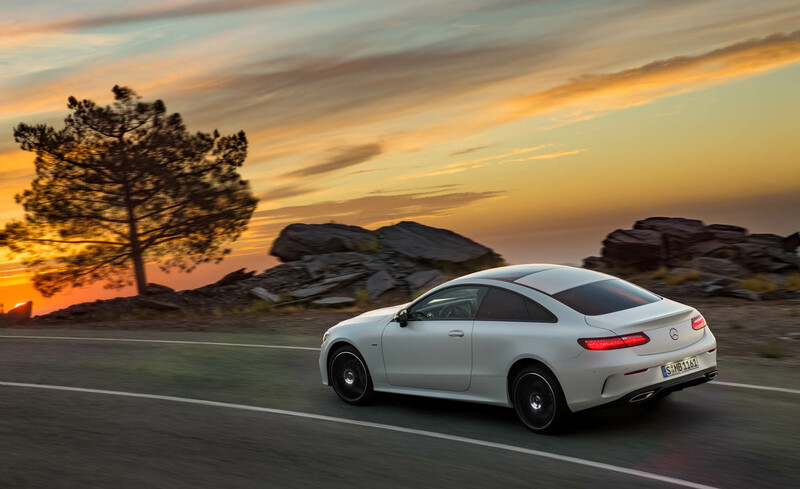 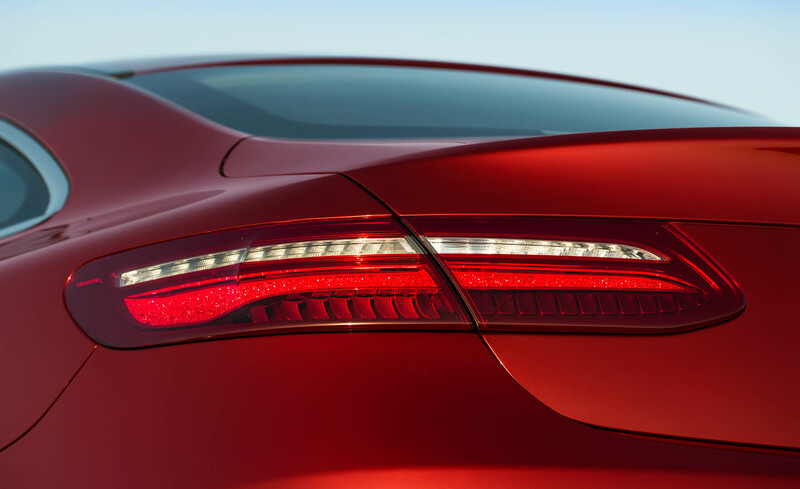 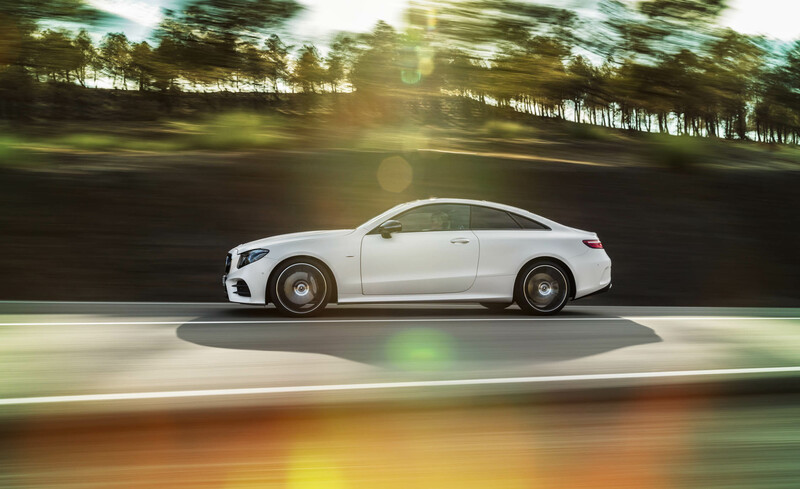 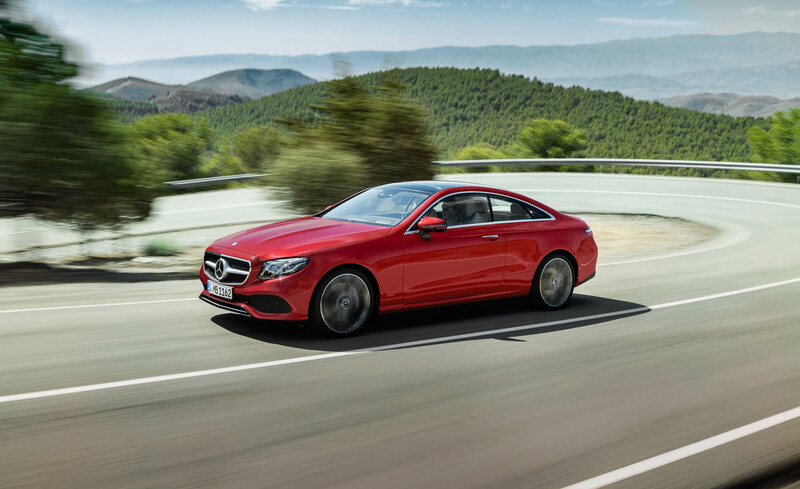 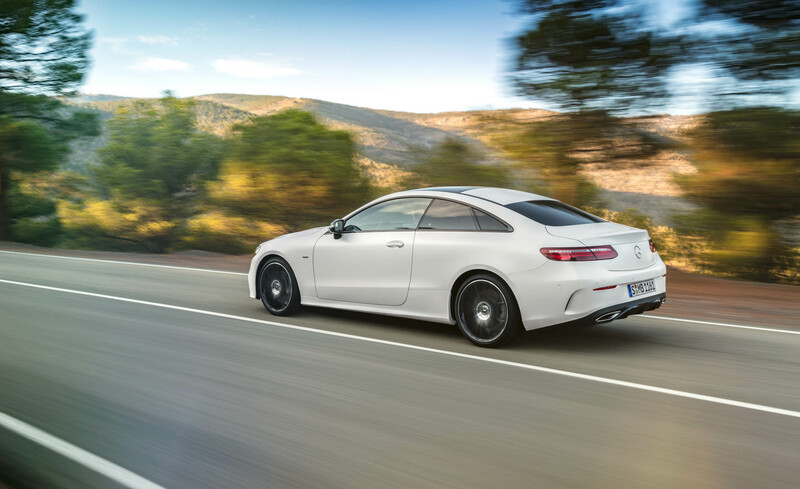 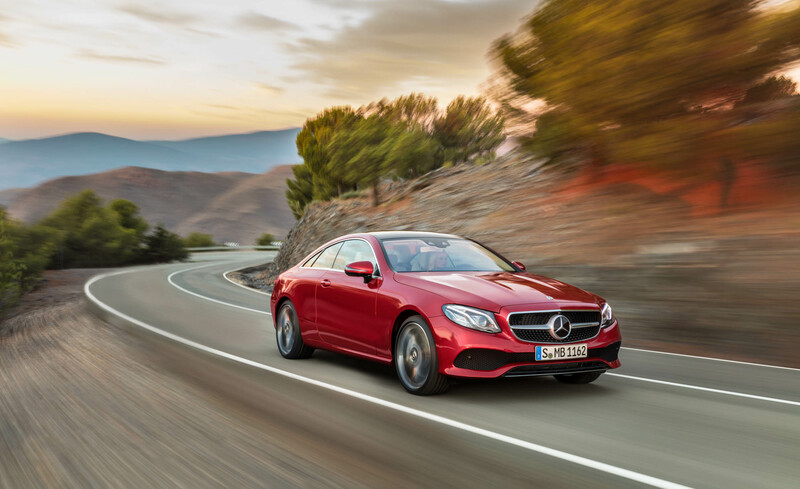 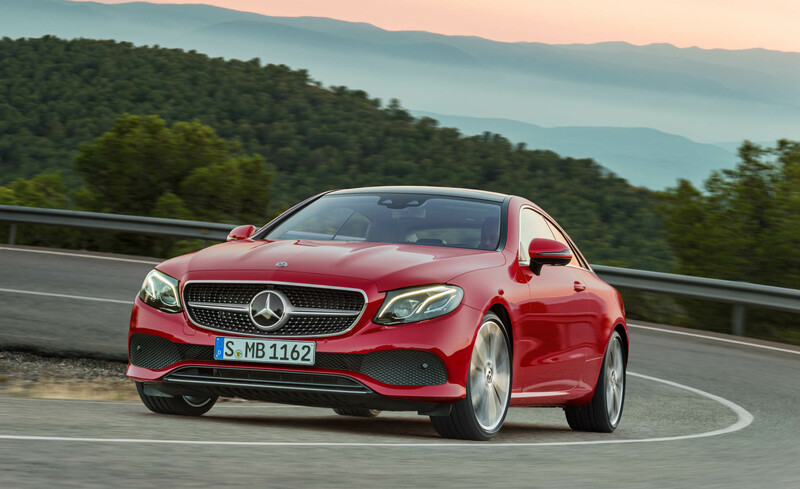 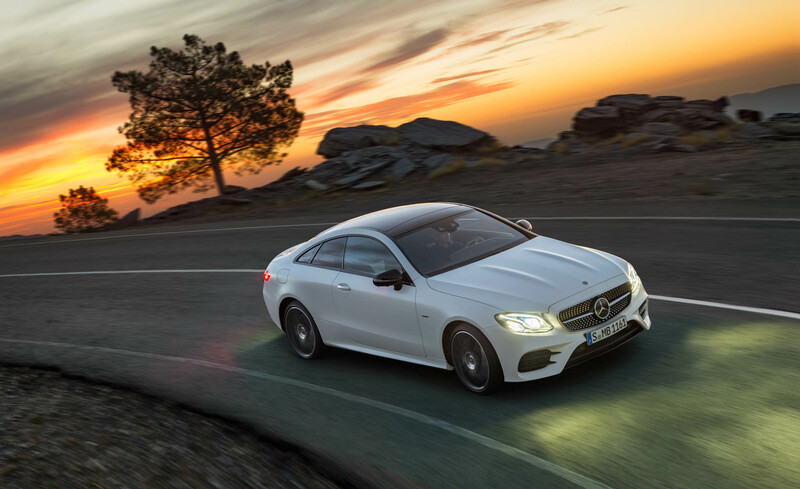 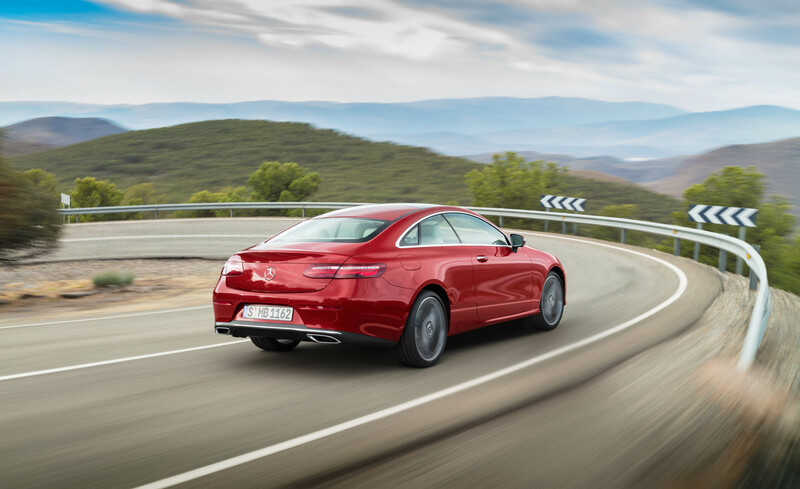 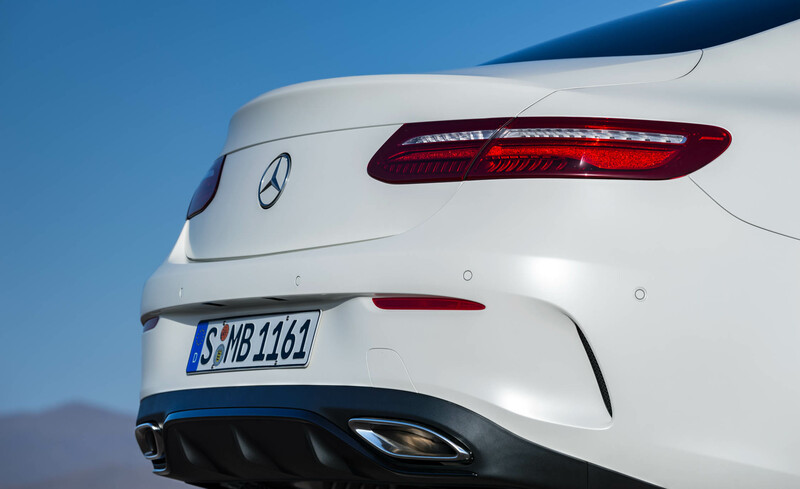 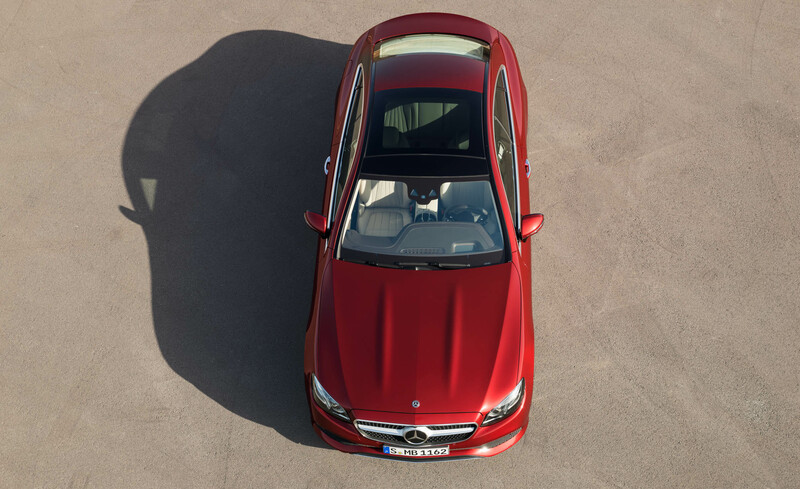 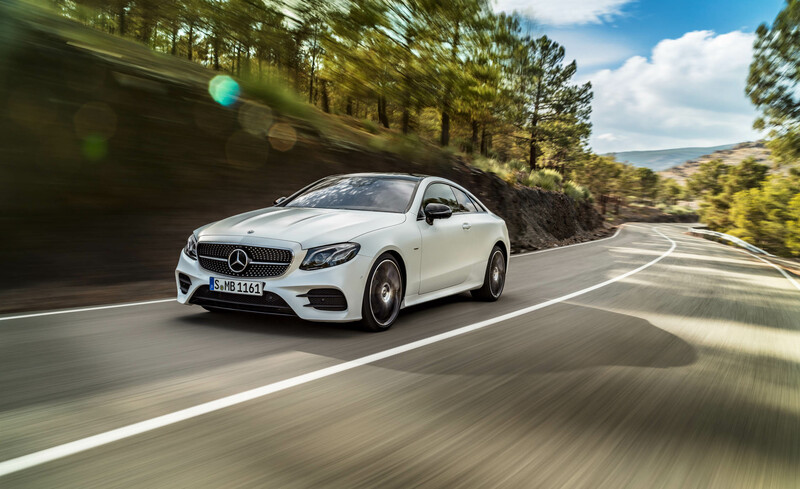 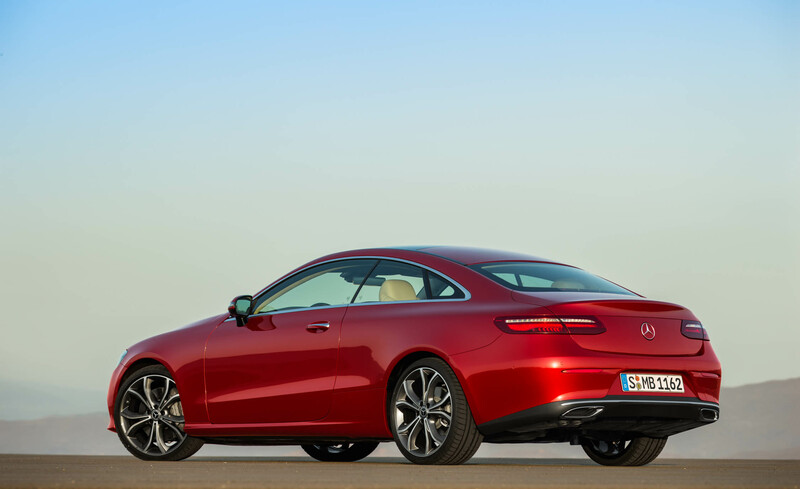 Using the sedan as a point of departure, the coupe pares back E-Class design to its elements, with reduced lines and sensual forms emphasizing performance and luxury above all else. 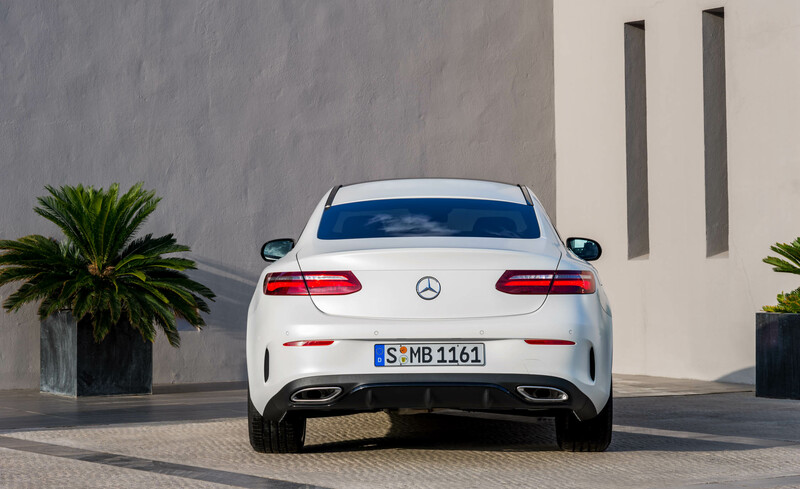 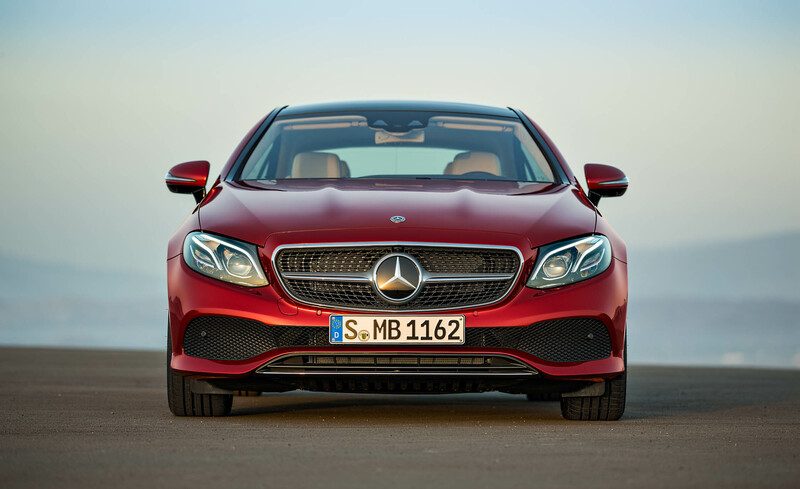 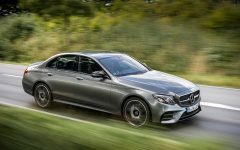 From its low grille and seductively long hood to its muscular rear and smoldering taillamps, the E-Class promises a nimble and sporty drive. 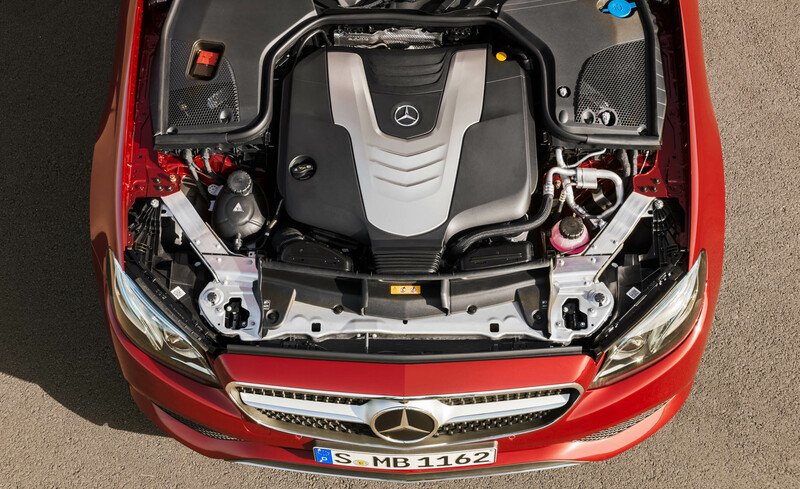 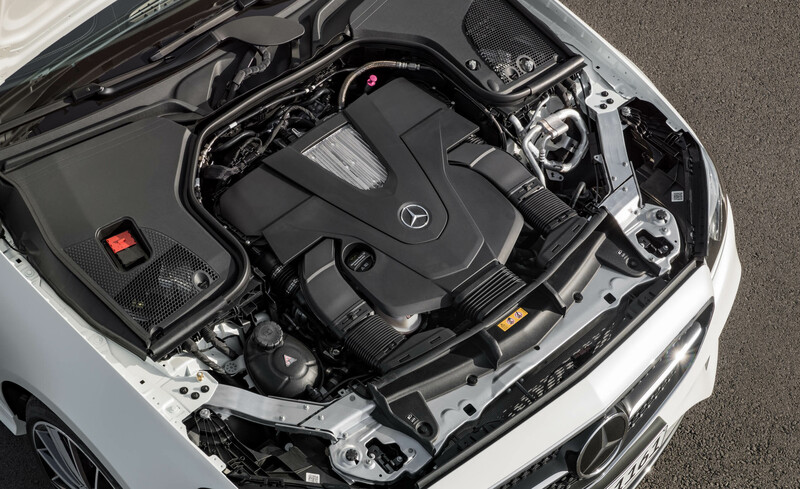 Fulfilling that promise is a powerful 3.0 V6 biturbo engine, capable of 329 hp and 354 lb-ft of torque. 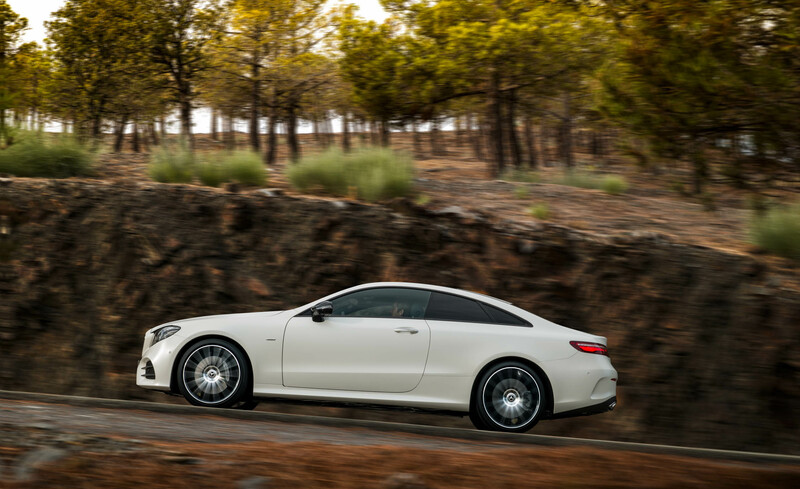 A 9G-TRONIC nine-speed automatic transmission allows for rapid shifting at lower engine speeds. 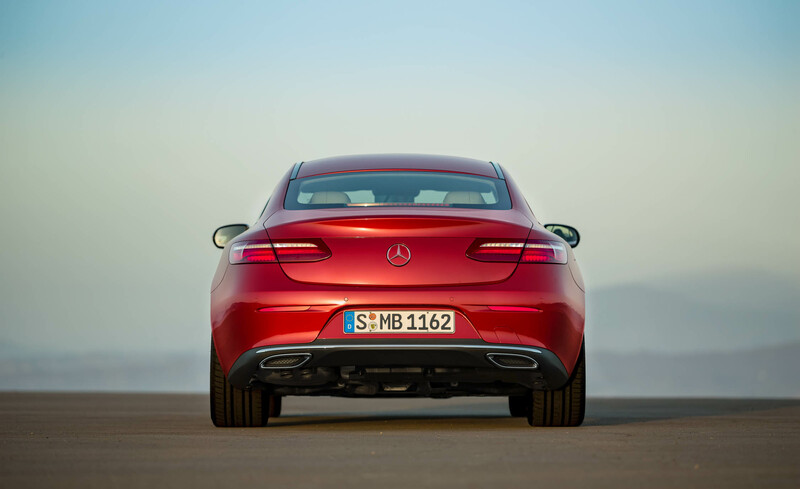 A lowered suspension with selective damping adds to a sense of pure comfort in handling every curve. 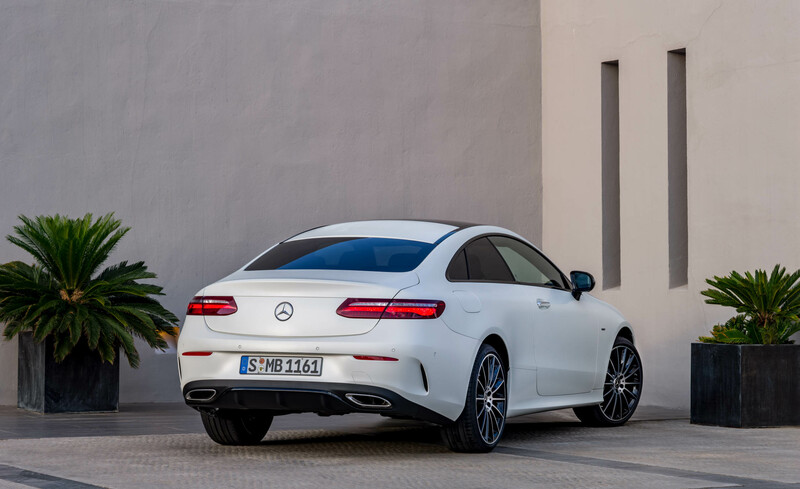 Within, the E-Class Coupe signals its sporty take on intelligent driving, with a 12.3-inch high-resolution COMAND display, turbine-inspired air vents, and Touch Control Buttons. 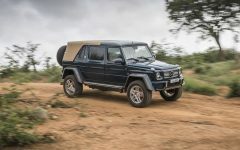 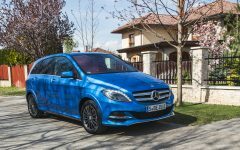 In addition, the vehicle has a significantly larger footprint than its predecessor, creating greater space and comfort — and an unmistakable sense that we have entered new territory altogether. 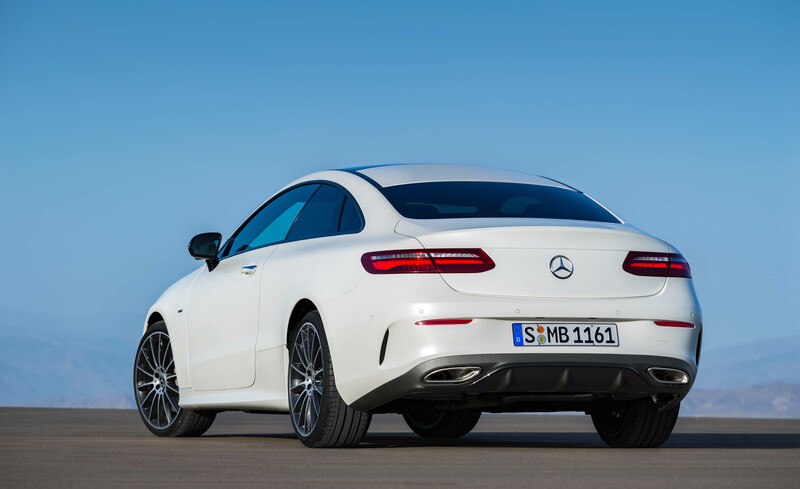 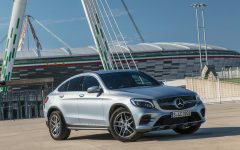 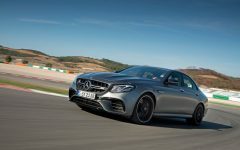 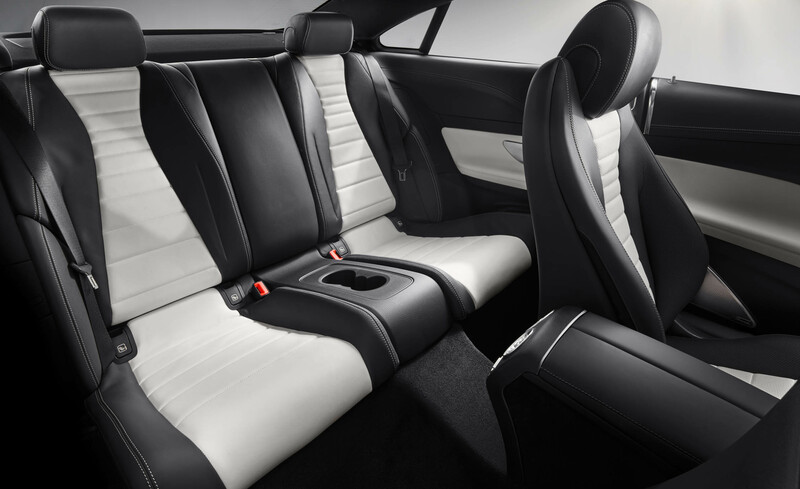 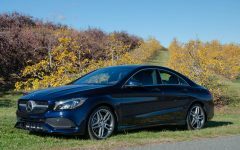 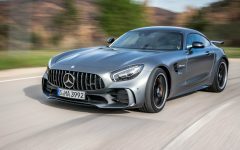 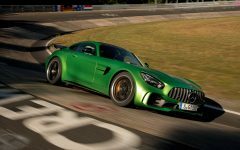 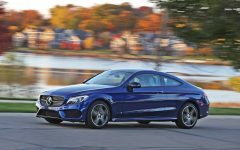 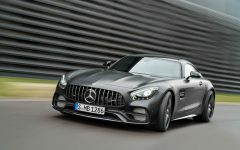 Related Post "2018 Mercedes-Benz E400 Coupe"